On the 27th (Wed), look for all kinds of wild species at Kopara Reindeer Park and then fly down the slopes at Pyhatunturi. For other places to visit, where to stay, and other tourist information, read Pyhatunturi trip planner . Doha, Qatar to Pyhatunturi is an approximately 13.5-hour flight. The time zone difference when traveling from Doha to Pyhatunturi is minus 1 hour. Expect much colder temperatures when traveling from Doha in March; daily highs in Pyhatunturi reach -1°C and lows reach -13°C. Cap off your sightseeing on the 27th (Wed) early enough to travel to Salla. Salla is a municipality of Finland, located in Lapland. On the 28th (Thu), stroll through Salla Ski Resort, then brush up on your military savvy at Salla Museum of War & Reconstruction, and then contemplate the long history of Paikanselan Taistelualue. To find more things to do, photos, other places to visit, and more tourist information, read our Salla road trip tool . Traveling by car from Pyhatunturi to Salla takes 2 hours. In March, daily temperatures in Salla can reach -1°C, while at night they dip to -13°C. Wrap up your sightseeing on the 28th (Thu) to allow time to travel to Inari. On the 29th (Fri), see the interesting displays at Siida, relax in the rural setting at Inari Reindeerfarm, and then do sightseeing your way with Reindeer Farm Petri Mattus. On the 30th (Sat), you'll have a packed day of sightseeing: contemplate in the serene atmosphere at Saint Tryphon Pechenga Orthodox Church, head outdoors with Lake Inari, and then take in the architecture and atmosphere at Pielpajarvi Wilderness Church. To find reviews, traveler tips, photos, and more tourist information, refer to the Inari driving holiday planner . Traveling by car from Salla to Inari takes 4.5 hours. In March, daytime highs in Inari are -1°C, while nighttime lows are -12°C. Wrap up your sightseeing on the 30th (Sat) early enough to travel to Levi. 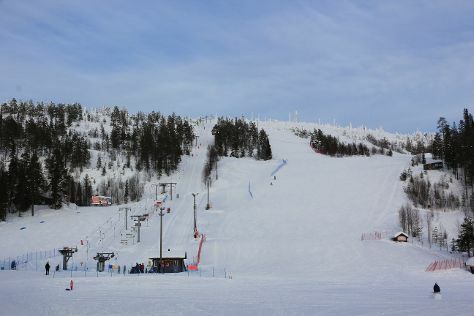 Kick off your visit on the 31st (Sun): ski along the peaceful trails at Levi Ski Resort. Get ready for a full day of sightseeing on the next day: stop by Elan Ski Shop & Rental, then look for all kinds of wild species at Wildlife Areas, and then gain insight at Kid's Land. To see photos, reviews, more things to do, and other tourist information, you can read our Levi trip itinerary maker tool . You can do a combination of shuttle, flight, and bus from Inari to Levi in 2.5 hours. Alternatively, you can drive; or take a bus. In March, plan for daily highs up to 0°C, and evening lows to -10°C. Wrap up your sightseeing on the 1st (Mon) to allow time to drive to Akaslompolo. Start off your visit on the 2nd (Tue): see exotic creatures in open habitats at a safari tour and then head outdoors with Seven Fells Up. For where to stay, more things to do, photos, and more tourist information, refer to the Akaslompolo day trip site . Traveling by car from Levi to Akaslompolo takes 1.5 hours. Alternatively, you can take a bus. April in Akaslompolo sees daily highs of 3°C and lows of -4°C at night. 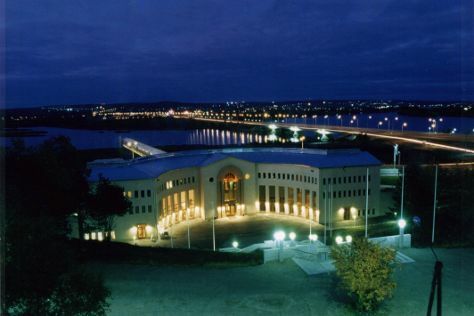 Wrap up your sightseeing on the 2nd (Tue) to allow time to drive to Rovaniemi. Kick off your visit on the 3rd (Wed): take an exotic tour of a safari tour, then explore the different monuments and memorials at German Soldier s Cemetery, then take an in-depth tour of Arktikum, and finally snap pictures at Lumberjack's Candle Bridge. Here are some ideas for day two: see Santa Claus Office, get in on the family fun at Santa Claus Village, and then hit the slopes at Ounasvaaran Hiihtokeskus Oy. To see more things to do, maps, traveler tips, and tourist information, you can read our Rovaniemi travel planner. Drive from Akaslompolo to Rovaniemi in 2.5 hours. Alternatively, you can take a bus. In April, plan for daily highs up to 3°C, and evening lows to -3°C. You'll have a few hours on the 5th (Fri) to wrap things up before traveling home.